State Department spokeswoman asked if US opposes demolition of illegal Bedouin outpost, says it followed a lengthy legal process. State Department spokeswoman Heather Nauert on Tuesday commented on the impending demolition of the illegal Bedouin outpost of Khan Al-Ahmar. Khan al-Ahmar was built in the 1990s on land belonging to the Israeli town of Kfar Adumim, east of Jerusalem. The encampment is home to some 170 Bedouin, who have expanded the community in recent years with the aid of foreign governments. 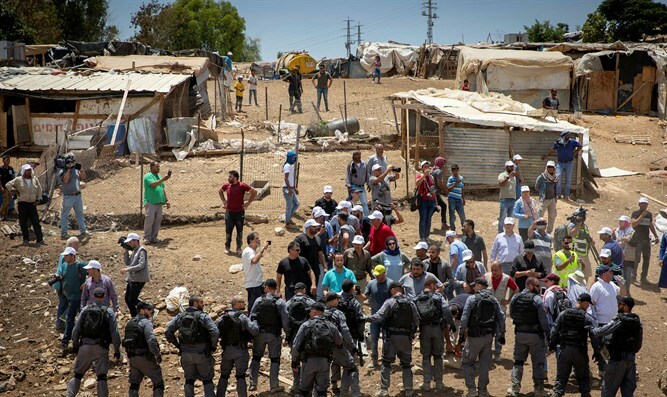 Last month, however, the Supreme Court ruled against the residents, rejecting their claims and clearing the way for Khan al-Ahmar’s evacuation. The ruling was condemned by the European Union, which warned that by demolishing Khan al-Ahmar, Israel would undermine the “prospects for peace”, as well as the possibility of achieving a two-state solution. Eight European countries at the United Nations, including five Security Council members, later called on Israel to reverse its decision to demolish the illegal village, warning the demolition of the village "would severely threaten the viability of the two-state solution".